I realize now I’m recapping NCTM in order of sessions that force me to process things. Dan’s presentation definitely forces me to do just that. Dan’s talk focused on the lessons he learned while playing countless hours of Angry Birds, Portal, Flight Control, and Stickman Golf. I loved how he pointed out that the lessons of Angry Birds’ go beyond parabolic motion. 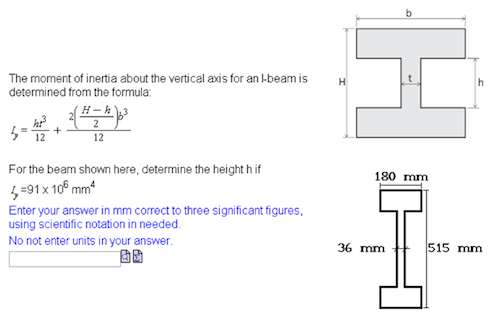 Quadratics are a fun application of Angry Birds, and has resulted in great work, but there are other things at play here. With Angry Birds and these other games, Dan posits these six lessons learned. Through the eyes of his in-laws, who are now among my favorite people in the world, he demonstrates these lessons adeptly.It was incredible how quickly the hour flew by. I hardly had time to tweet or think before he was on to the next great narrative. But like I said, I need to process a bit. Please indulge. Beginning from the end, Lesson 6 makes a beautiful argument for standards-based grading, or lessons on assessment in general. I love the idea of an open middle. “Lesson #2: The Real World Is Overrated” drew – by far – the loudest applause. Audible hoots and hollers arose from audience the likes of which were not heard at any other point in the conference, let alone the talk itself. I don’t have a problem with the point itself. I fully concur that the “real-world”, however one defines it, can be overrated. Before you pillory me in the comments, the following is not a criticism of the lesson: it’s an admittance of fear of what teachers take away. I’ve blogged before about the value of the real-world, be it significant or insignificant, as a way to – among other things – begin thinking about redesigning your curriculum. A non-sugar coated version might read: a way to start giving a crap about your students and their interests. Considering your students’ interests may be the first of many necessary reparations in their introduction to mathematics. And students’ interests are generally not in abstract math, for good or ill.
To hear so many math educators cheering this lesson above all others was dismaying. I suppose it’s not surprising: teachers have witnessed or viewed enough artificial applications of math in their day; they may have even been forced to design some. But I suddenly felt like I was in a room full of teachers who were a bit too excited to have an excuse to stop making their math curriculum relevant and important to kids. I don’t know if there are analogous conferences in other disciplines, but I can’t imagine Social Studies or Science teachers cheering the news that they should’t worry so much about making their curriculum tangible to students the way that the Math teachers did. It was uncomfortable and convicting as a fellow math teacher. What does this say about math educators? I’ve no problem with the lesson. I have no problem with abstract tasks. Shoot, I awarded Mr. Honner’s equilateral-er triangle problem as my highly coveted Problem of the Year (first and only ever winner!). Dan has provided great abstract tasks that are engaging, interesting, complex: all things I certainly want in my PrBL curriculum. However, teachers – by and large – don’t and aren’t able to create nifty Adobe animations to stoke student curiosity. We’re not choosing between this …. [Decidedly not Real World] Kinda cool. 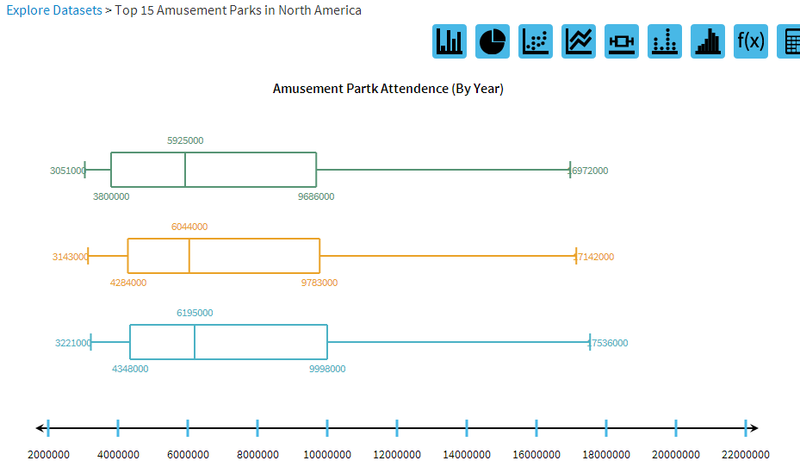 [Real World] A Tuvalabs investigation on amusement park attendance. 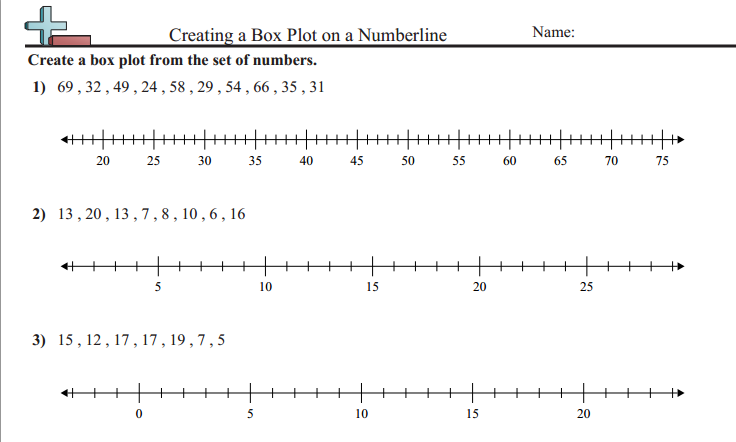 [Decidedly not Real World] An easily find-able worksheet on box plots. Using an example of a snowboarder artificially grafted on to a problem regarding growth in popularity of the sport sort of destroyed my opening slide (but I still stand by it). 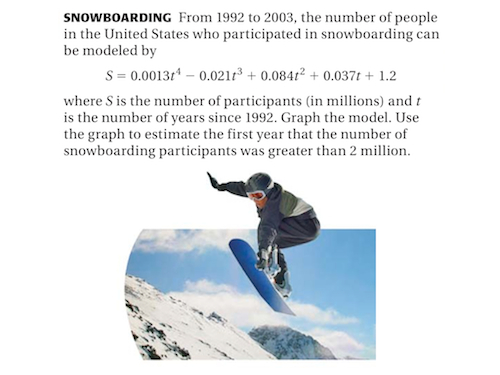 No, artificially plastering a picture of a snowboarder won’t suddenly get students interested in growth models, but it might give them a contextualized understanding of parabolic motion, the way a basketball shot, and yes, angry birds might. 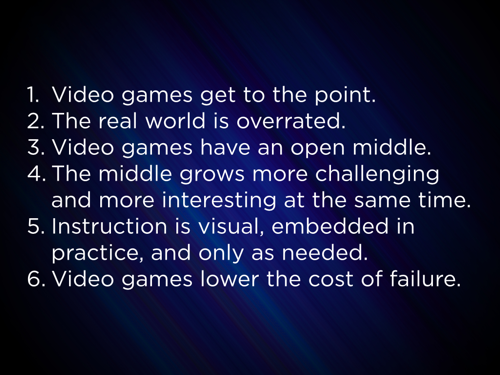 Again, this is not a criticism of the Lesson #2 (although, one wonders what lesson can be drawn with the successful Grand Theft Auto, Call of Duty, Madden, and other franchises steeped in realism. Or the highly acclaimed and hyper-realistic Gone Home, Polygon’s 2013 Game of the Year winner.) Dan’s not arguing against engaging real-world tasks, I’m not arguing for boring real-world tasks. No one is arguing for crappy tasks, even as our schools are currently festering in them. This is a fear about what teachers, specifically math teachers, tend to internalize and take home to their students. If I were to judge purely by applause, many internalized Lesson #2 so much so that I’m curious if the other five lessons had any room to find purchase. 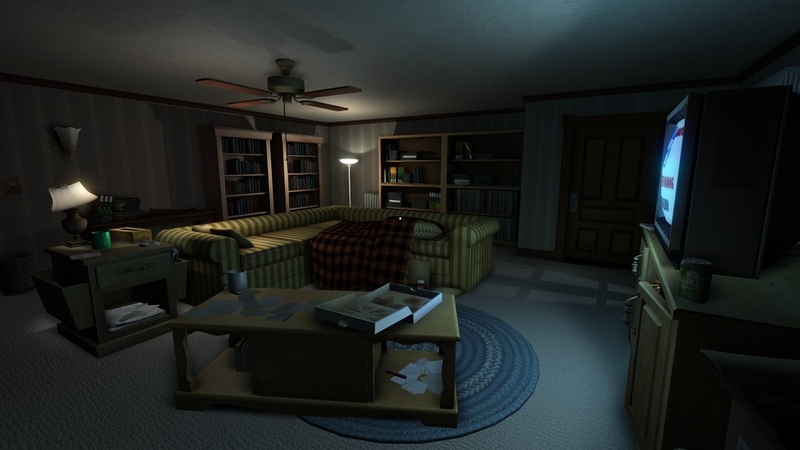 In Gone Home, the protagonist explores her own house in search of her/your past. So here I am, criticizing folks who I feel were over-focused on Lesson #2 by over-focusing on people who were over-focused on Lesson #2. Maybe I need to take my own advice. This is why I need to write to process. More of that coming, rest assured. So thank you, Dan, for (yet another) engaging and challenging talk. I prefer presentations that force me to think, argue, and justify rather than just tickle my ear. I can think of few other educators who has advanced by thinking on math instruction. This presentation only further solidified that. I dunno, man. You really think the assembled teachers at NCTM’s big pricey national conference are the kind who are eager for someone to validate their entrenched practice? There might be another explanation. I’m fully aware that my jadedness from past teaching gigs and math departments may be creeping in here. It’s possible I’m over-sensitized due to the rawness of the real-world thing. I may have even imagined the applause line decibels. But I will say that not all NCTM participants are “on board” like those of us who stay up all night on twitter, writing/reading blogs, or diving into tomes on Math instruction. I overheard some conversations (a little too excited about Khan Academy, a little too much time around the vendors, a little too much “my kids couldn’t do this”) that gave me the heebie jeebies. Again, that may play into my fear as well. This is certainly one area where I’ve enjoyed the pushback and back-and-forth.